We are a fully-accredited company specialising in providing a personalised and professional fun casino hire Derby and across the Midlands. 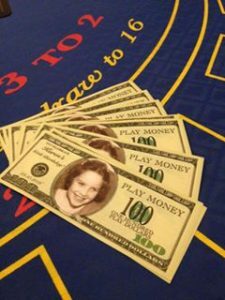 With our all-inclusive casino table hire experience, for a realistic price you will get; professional croupiers, fully authentic, full-size casino hire equipment, and of course, a lot of fun. Once you’ve booked with Little Las Vegas, we will work closely with you to make sure all your event needs are met. From there, our team will take care of everything – so you can relax, plan and enjoy your event. With our Fun Casino Hire Derby service, we cater to every occasion. Whether you’re looking for a wedding casino, a house casino party or simply a fantastic casino night, we are here to make your special occasion one you’ll never forget! Find out more about Little Las Vegas’ events. Although we are a fun casino hire Derby company, We bring our full service to all locations across the Midlands, providing the best Midlands casino hire experience. Our professional tables and fantastic staff will travel to wherever we’re needed, right across the region. 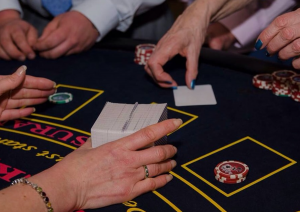 Our service locations include but are not limited to; Casino hire Derby, Casino hire Nottingham, Casino hire Birmingham, Casino hire Leicester, Casino hire Coventry and many, many more. Our team of croupiers will start your evening by handing out ‘fun money’ which you take to the table to begin your fun casino experience. We offer Blackjack, Roulette or Casino Stud Poker – or if you’re feeling adventurous, you can have all three! Don’t worry if your guests have no idea how to play…it’s easy, and we will always teach you. Even children are able to join in – as it really is for everyone. The evening’s winner will receive a bottle of fizz, a certificate, and of course, the all-important winner’s gloating rights! If you’re looking for a bit more information, or would like to enquire about booking your fun casino night, please do not hesitate to get in touch with our friendly fun casino hire Derby team!